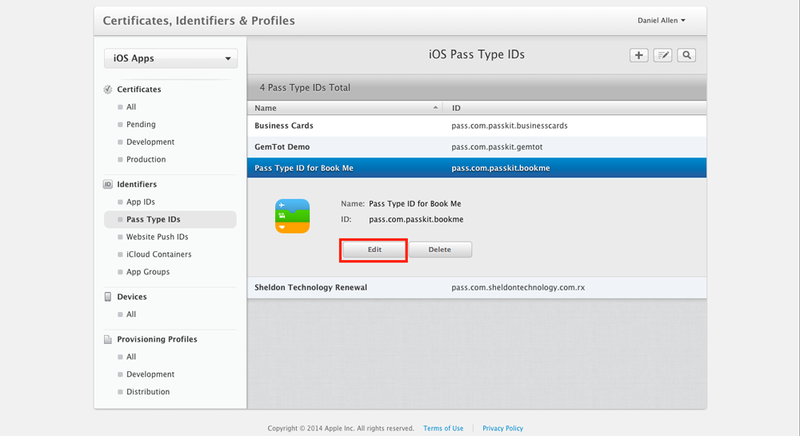 Select "Pass Type IDs" and find the correct Pass Type ID. You can use the search field at the top right of the page if it's easier. 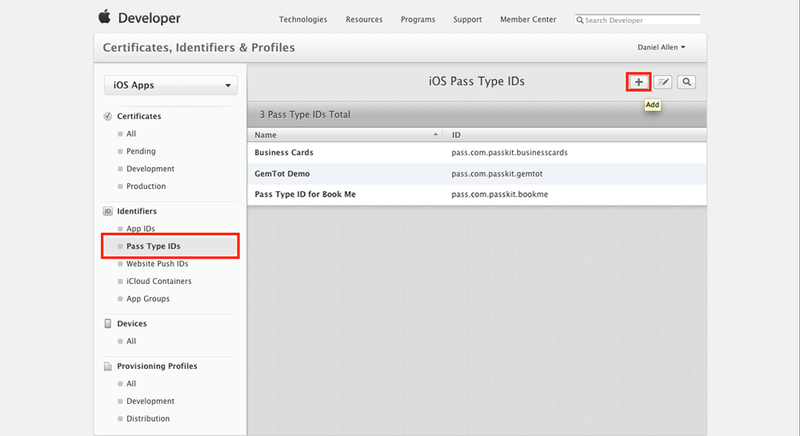 When you have found the Pass Type ID in the list, click on the Pass Type ID to expand the view. Click on "Edit". 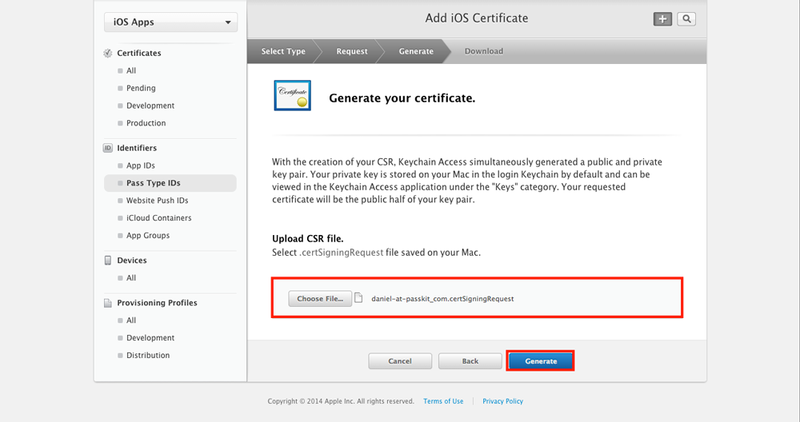 When you certificate is generated you will see the Your Certificate is Ready page. 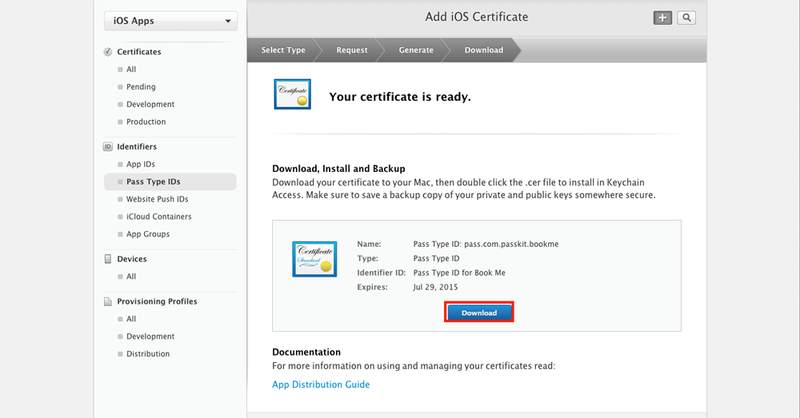 Now download your certificate by clicking "download". Upload your new certificate to PassKit. 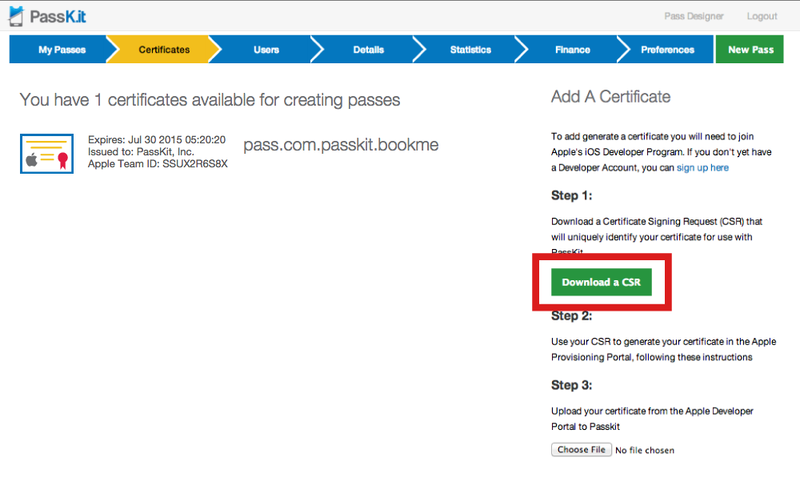 Click the button to select your certificate (the pass.cer file generated in Step 5). 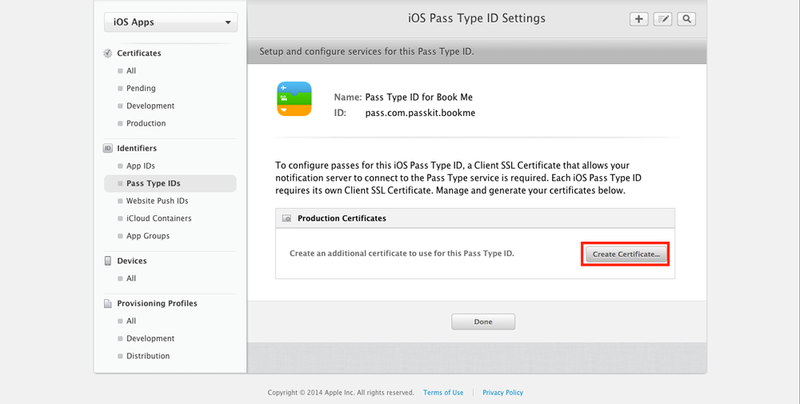 It will automatically start uploading to PassKit and will overwrite the old expired certificate. Logout of your account to activate your renewed certificate. When you log back in and return to the certificates page, you will see your certificate listed with the new expiry date. 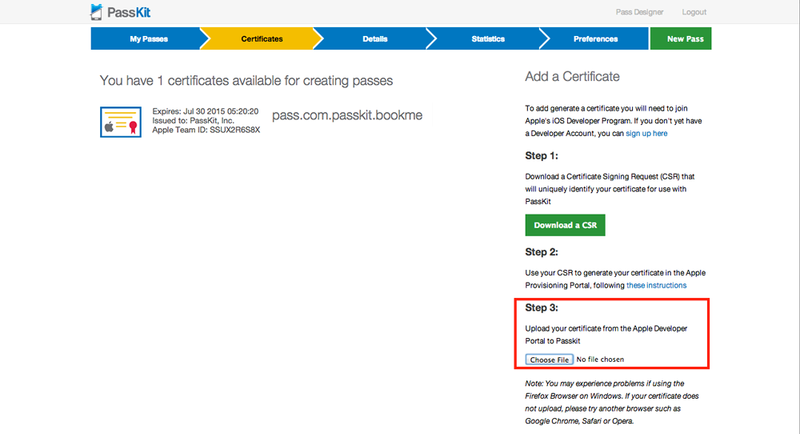 When you return to the Pass Designer, you should also see your renewed certificate in the Pass Certificate dropdown. 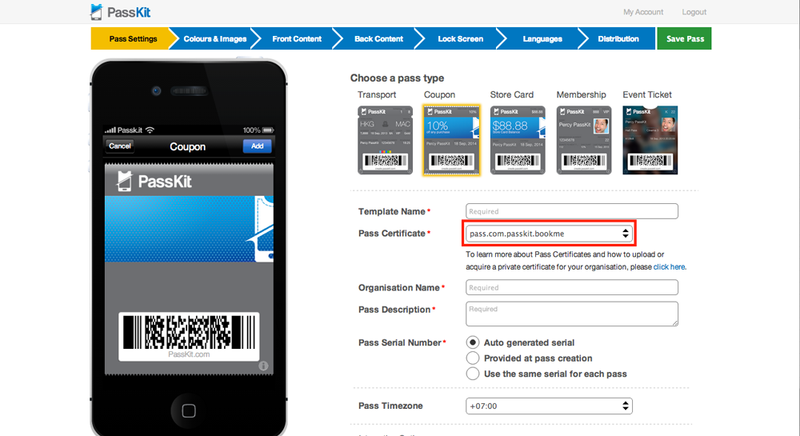 Any passes signed with that certificate will continue to work as before.